I had a custom order before Christmas for a yarn set to knit the Indigo Sea Shawl by Carrie Bostick Hoge – it is a lovely shawl which uses 50g each of three shades of 4ply. 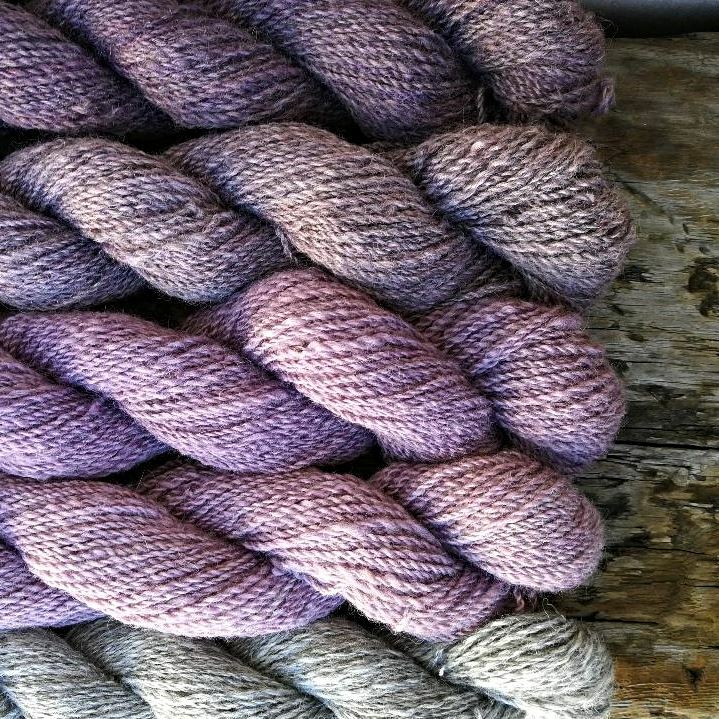 I dyed the set in heathery shades on Bluefaced Leicester Suri Alpaca 4 ply, over the Natural Silver shade (naturally dyed with logwood, lac and iron). While I was dyeing the order I created another 3 x 50g set (165m/50g x 3 = 495m/150m) and several 5 x 50g sets (165m/50g x 5 = 825m/250g) which fully exhausted the dye bath. 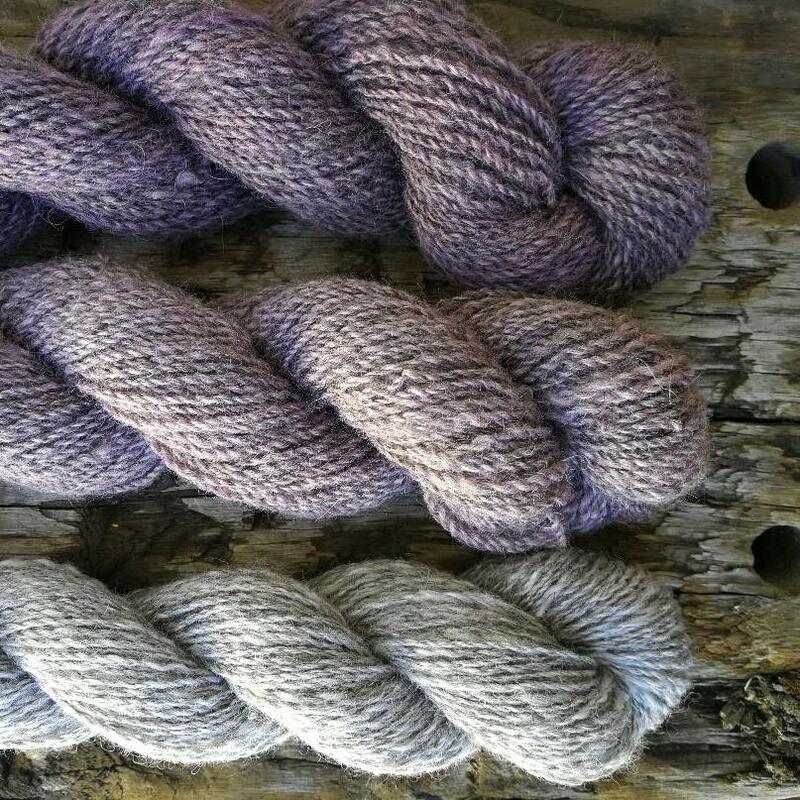 The three shade set would make a lovely Indigo Sea Shawl as per the original custom order, and there will be many other options I’m sure. 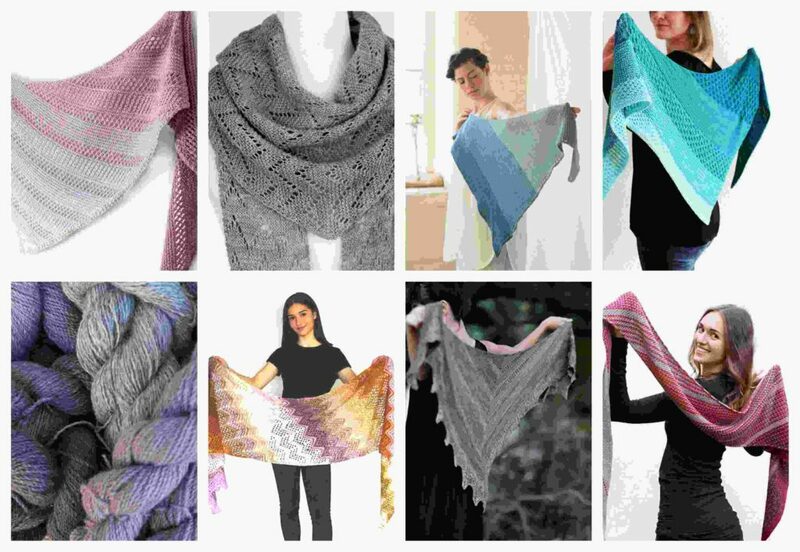 For the five shade sets I had a quick search on Ravelry and found some really stunning designs that I think would work well (this is just a tiny snippet, have a look here for more ideas) ……..
Of course, it would also be possible to combine one of these sets with a full 100g skein or two of BFL Suri in Natural Cream or Silver for a beautiful light-weight drapey colourwork or striped cardigan or jumper.